Early seasons for resident Canada geese evoke strong contrasts. Hunters often wear shorts and Crocs while battling mosquitoes to pursue a bird synonymous with the cold winds of autumn. And although resident goose seasons represent the first hunts of the year in many areas, those unsuspecting summer “park” birds quickly morph into wary, paranoid veterans. That’s why it’s critical to map out early-season game plans well before opening day. A simple strategy involving food and concealment, mixed with a bit of strategy, usually puts honkers on the strap. As autumn approaches, geese instinctively seek grain fields in which to feed. Trouble is, many crops aren’t harvested when early goose seasons open, so birds typically have limited options. In the Midwest, where I hunt, top August and September draws include recently harvested oat, wheat, rye and barley fields. Fresh-cut alfalfa (hay) fields are good, too. Such spots are fairly common in agricultural areas, and geese will find them. However, most or even all of the geese using a roosting water will often key on one hot field and won’t change spots or spread out until they’ve vacuumed up the waste grain at the hotspot. Maybe the active field is close to a roost, or perhaps it has more spilled grain than similar spots. Whatever the reason, you might glass 10 or 20 empty fields before finding one that seems to hold every goose in the county. That takes effort and lots of windshield time. I usually take mental notes during midsummer, as wheat and oat fields ripen and turn golden. I’ll also pay attention to hay fields as potential backup areas. Early-season geese love greens, and they sometimes hit alfalfa fields hard after they’ve exhausted nearby grain fields. As the season approaches, I pay attention to which fields have been cut and baled and also monitor where farmers have spread manure. Hunting in cow poop isn’t aesthetically appealing, but it can be productive. A week to 10 days before the opener, I start my search in earnest. I make quick early-morning or late-evening milk runs at likely fields or spots where I’ve killed geese previously. Honkers usually fly out to feed twice a day in late summer and early fall, often arriving at fields soon after shooting hours, leaving during midday and then returning an hour or so before dark. During bad weather, they might fly out late and spend all day in a field. Obtain permission to hunt cut fields between the hotspot and a roost. “Run traffic” there as birds fly over. Use flags to grab the attention of geese. 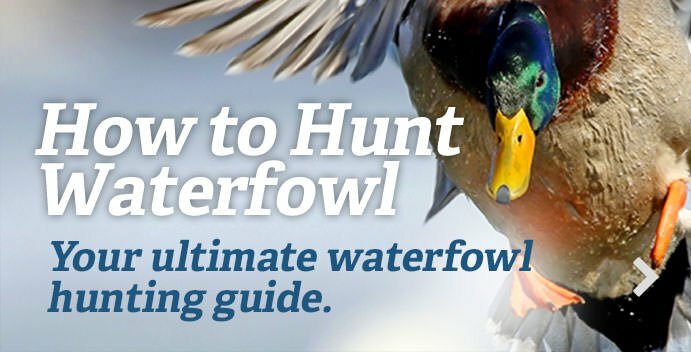 Get on the call early and often to lure birds. Ideally, I’ll see geese flying into a field. That not only tells me where birds want to go but where they’re coming from and how they approach the area. If I can’t find geese in the air, I glass fields for feeding honkers, being careful to look at folds or wrinkles in terrain that might not be visible from the main road. Assuming I have permission, I’ll drive into a farm on field roads or two-tracks to take a closer look at hidden areas. Geese often use the highest spots in fields, but not always. It’s amazing how often they defy conventional wisdom and fly into low areas. If I can’t find active fields or flying birds, I reverse my search and start at roost waters that have held geese throughout summer. I park my truck at dawn, wait for birds to fly out and then attempt to follow them. If nothing else, I want to learn which direction birds travel off the roost. Then I can nail down their specific location during subsequent scouting sessions. Find where geese loaf during the day. Check water, parks, golf courses, etc. Smaller bodies of water to check: marshes, lakes, retention ponds and streams. Ambush geese as they fly in at midmorning. When I’ve nailed down a field or two, I look for the hot area in that field—the precise spot most geese want to land and feed. This requires diligence, because the X can change daily as geese consume grain and seek fresh chow. If possible, I’ll watch geese fly into a field several consecutive mornings, noting how they approach in various wind conditions, whether trees, roads or power lines affect their flight path, and when and where they lock their wings for final approach and landing. When I determine that, I’ve nailed half of the problem. The other part of the equation soon becomes obvious: Cut oat, wheat, rye, barley and hay fields have about as much cover as a putting green—much less than a harvested corn field. Even if you set up on the X, you’ll probably stick out like a neon beacon on a calm lake. Resident Canadas might seem simple when they’re loafing in a park, but they quickly notice potential threats and predatory behavior. If they can see you or your outline, they will flare out of range. If possible, use natural cover—ditches, tree lines, a rock pile, a grass border between fields or standing corn next to a harvested site—as an ambush spot. When this isn’t possible—which is usually the case—you must go into ultra-concealment mode. Field blinds present an obvious solution, as they’re camouflaged and hide your movements. However, they’re not cure-alls any more. Geese in my area got wise to those odd rectangular shapes about seven or eight years ago, and unless your blinds are well concealed nowadays, honkers won’t commit to your spread. When using blinds, place them side by side instead of spaced throughout a shooting area. This cuts down the amount of outline you must conceal. Then, use any available natural material — wheat stalks, waste alfalfa, weeds from a nearby ditch — to blend the edges of your blinds into the field. Make sure your concealment material is the same color as the crop, stubble or soil in field. Also, use natural material or commercially available grass-like products to cover the tops and doors of your blinds. It seems silly to cover up camouflaged blinds, but doing so pays big dividends. If birds seem especially wary, forgo blinds and focus on hiding yourself. Wear appropriate Realtree camo, and try to bury yourself as much as possible in natural cover. This works especially well in alfalfa fields. Whether you’re using blinds or just lying in a field, place decoys around shooters to obscure their profiles and outlines. I like to put one directly behind each shooter and in front of each gun. You’ll know pretty quickly during a hunt whether your hide is adequate. I don’t sweat too much if one flock veers off or acts skittish, but if two or more groups shy away, you need better cover. Assuming your location and concealment are good, the rest is fairly simple. Geese are still in family groups when many early seasons open, so I set my decoys accordingly. My standby setup is the three-blob approach, with two small groups of six to 12 decoys 15 to 30 yards in front of the blinds, with a large landing hole between them, and then a larger family blob of decoys behind and covering the blinds. I might adjust that number somewhat depending on the number of geese using a field. As the season progresses and early migrators arrive, you can make your spreads larger and more complex. I don’t go crazy with calling, especially the first few hunts of the early season. I’ll ramp up my vocalizations as birds become increasingly wary or migrants arrive. One final note: Unless you’re hunting a very large field, one hunt is usually enough to burn out a hot area. You might get two in some spots, but that’s not the norm. Typically, geese find somewhere else to feed that evening or the next day, and then you have to start the search anew. Really, that’s not such a bad thing. Scouring the landscape for geese and then forming good hunting battle plans represents much of the fun. Hauling out full straps of early-fall honkers is just a benefit.